A Teacher without a Class: Monday Made It--Lego Math!!! 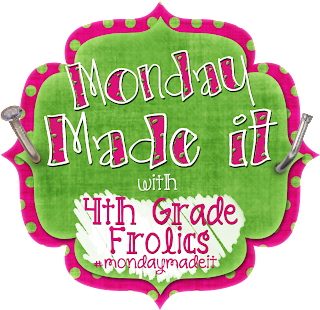 It's so nice to be back every Monday with Monday Made it at 4th Grade Frolics! There are always great ideas! Please come and link up with me on Wednesday for Dollar Days. Where you share things you find, sell, or love for only a dollar! What do a bunch of gym socks have to do with lego math? Each sock has a bunch of legos inside. The goal is to use your multiplication skills to to find how many studs are found in each sock! 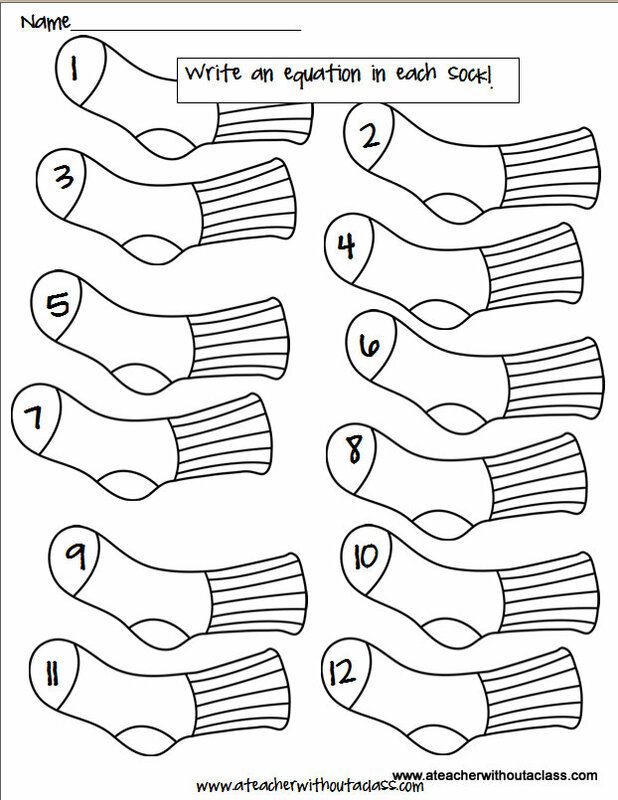 As students feel their way through the socks--they gain number sense, and really learn about multiplication. An added bonus--it is a quiet activity. No dice falling on tile floors. When I did this with a small group, I had the students tell me the equation. After a few times, you could designate it to centers. And the students could fill out this worksheet--writing an equation in down on the sock. They had a lot of fun--and I think they were really thinking about coming up with an equation, not just rote memorization of skills--but applying skills. You can find the worksheet on my google drive! Find other great ideas on Monday Made it! There are always bunches! Thanks for stopping by! I LOVE this idea for multiplication!! I love this idea! This one is getting pinned to my Monday Made It board so I won't forget. Younger students can add the studs on two or more legos. Awesome idea! I'm totally going to use this! Thanks! I love this! I'll just change it to addition for 1st grade. I've got legos sitting in my garage just waiting to be used! Thanks so much! This is a great idea!! I might have to make it for addition problems. Thanks for sharing it. This is absolutely adorable! I wish my Kindergarten students could do multiplication so I could use this as a center! Maybe it would work with addition and subtraction for the end of the year? My students love to use legos!!! what a GREAT idea! I have a ton of old socks around my house and legos in abundance as well!